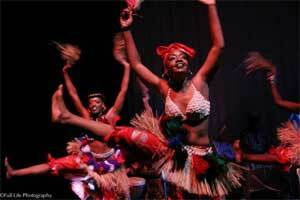 Donate - Delou Africa, Inc.
Delou Africa, Inc. is dedicated to cultivating and educating communities through African dance, drum, music, and history influenced by the presence of the African Diaspora. Our quality programs are developed by volunteers that consist of professional artists and educators. We are an educational cultural arts community base non-profit 501 (c) (3) organization that enhance cultural awareness and empower individuals to embrace diversity through cultural and artistic expression. Your tax deductible donation can help us to provide the community along with Children, Families and Adults an on-going platform to showcase outstanding cultural educational programs, events and performances. If you would like to make an online donation and give dance and music a chance, you can make a secure donation through PayPal. Click on the Donate button below to access the PayPal page. If you have a PayPal account, you may access it on the PayPal page. If you do not have a PayPal account you may use a credit card by using the Don’t have a PayPal account? link on the PayPal page. Delou Africa, Inc. is a non-profit 501 (c) (3) corporation. Contributions are tax deductible as allowed by law. For more information or to join our e-mail list, email us at delouafrica@yahoo.com. Amazon will donate 0.5% of the price of your eligible AmazonSmile purchases to Delou Africa, Inc. whenever you shop on AmazonSmile.